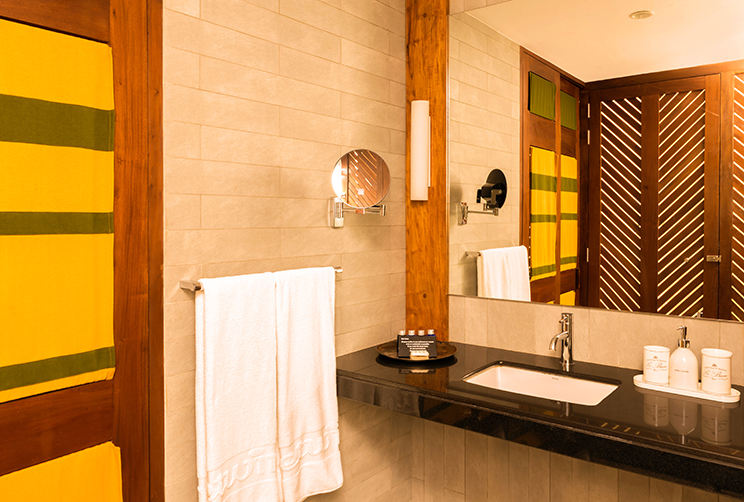 Unwind in tropical indulgence with each of our Deluxe Rooms, designed with exotic accents that emit the radiance of a vibrant east coast home. 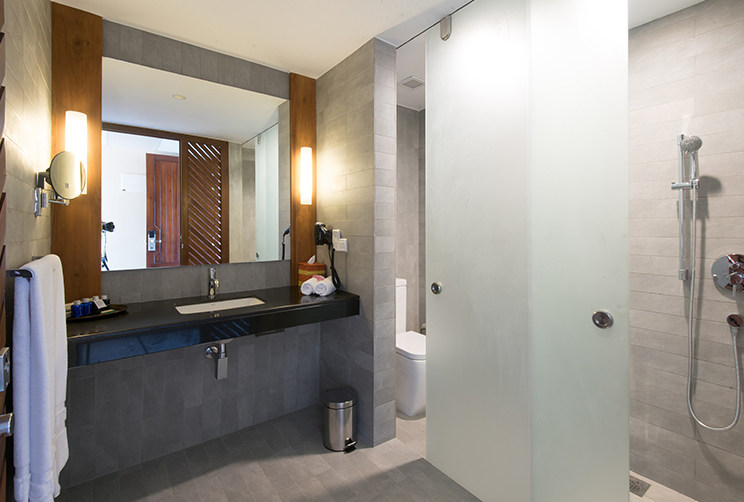 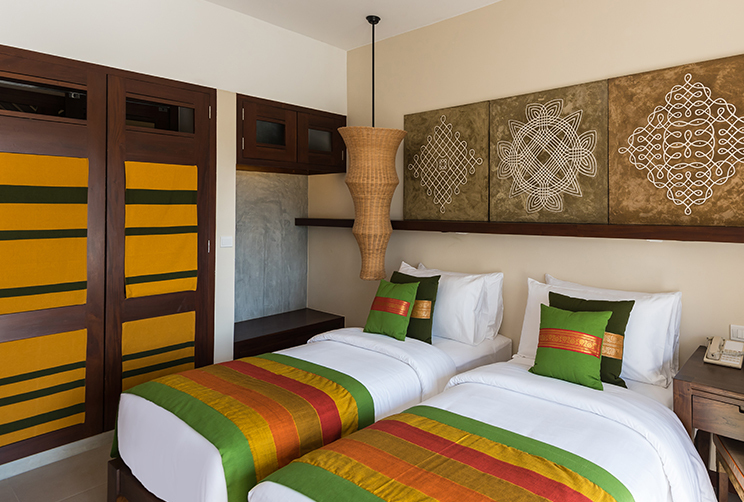 Indulge in our legendary Sri Lankan hospitality with contemporary essentials including a flat-screen television with satellite channels, and a mini-bar for refreshments. 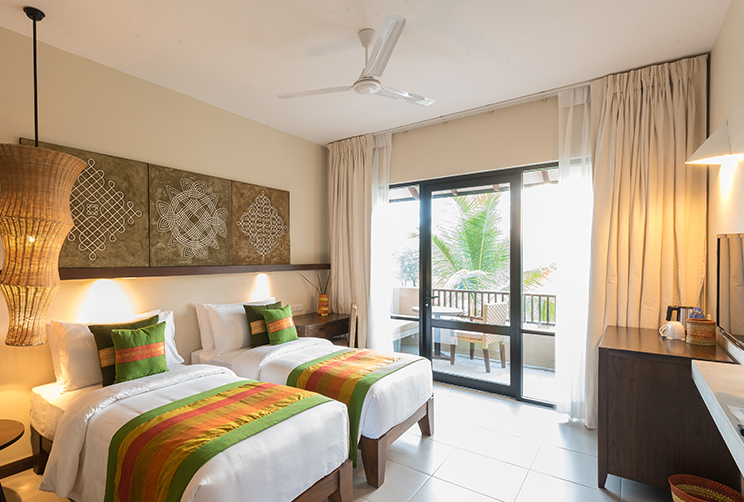 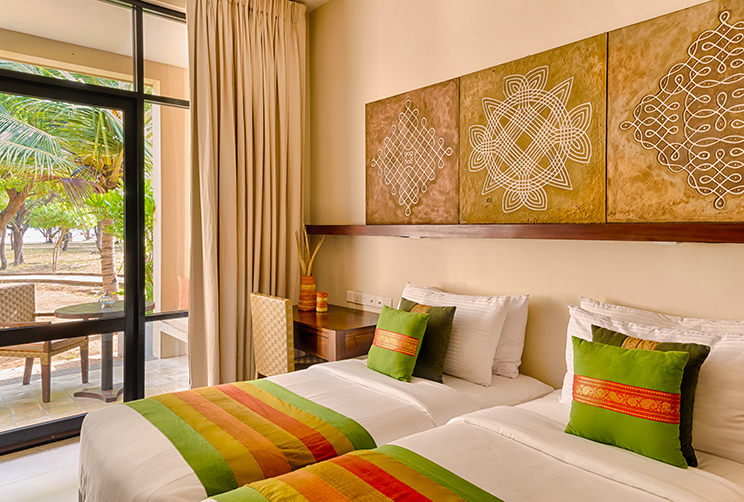 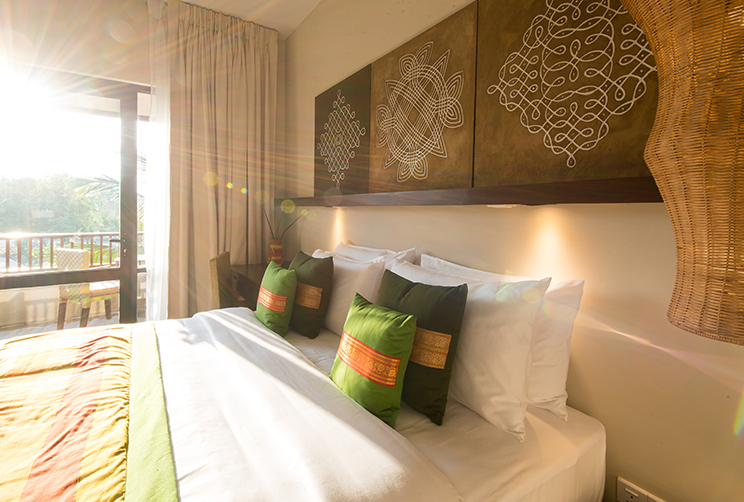 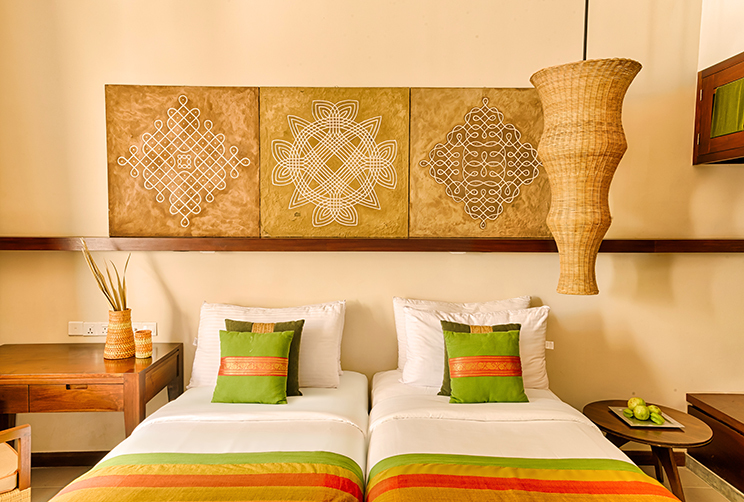 The air-conditioned space features a rustic minimalist aesthetic, complete with earthen tones and traditional local artwork that hangs over your plush bed. 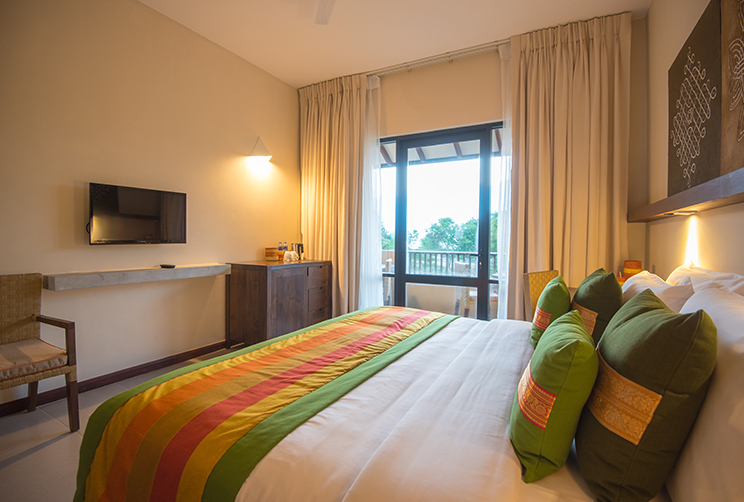 And with a private balcony that overlooks not only the shallow waters of Passikudah, but also one of the longest swimming pools in Sri Lanka, the pleasures of our welcoming nature await your arrival at our luxurious seaside getaway.